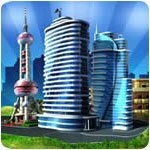 Business & Tycoon Simulation Games - Play 49 Free Business Simulation Games! Business Simulation - Games focused on improving a business financially through good decisions. Set the Tables, Make the Menus, and Bake the Goods! Schedule Flights and Control the Air Traffic in Your Very Own Airport! Bring in the Money by Building and Powering a Tropical Island Resort. Stimulate a Growing Economy Using the Power of Transportation! Join the Gaming Industry by Forming Your Own Gaming Studio! Real Estate Management Takes on a New Hurdle: Can You Manage Energy as Well as Real Estate? Make Star Wars History as an Up-and-Coming Smuggler! Buy and sell real estate for massive profits! Travel across Europe fixing up houses for a tidy profit! Manage energy and real estate to make great neighborhoods. Create your perfect vacation spot! Build a multinational firm from the ground up! Start from a small theater and grow into a huge Mega-Plex! 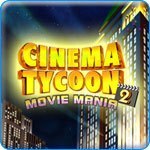 Do you have what it takes to be a Cinema Tycoon? Build America's favorite chain of coffee shops! 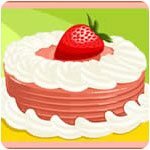 Serve up mouthwatering eats in this free time management game! 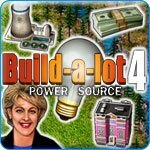 Build and manage a successful business in County Fair! Grow a small cruise line into a successful business! Populate your island with dragons in this fantasy tycoon game! Breed and sell fish in your own store! Raise, care for and sell 20 types of cute or dangerous fish. Raise magical pets, earn gold & explore! Run your own dream farm with real John Deere rigs! Become a fashionista with Kim Kardashian and Hollywood's elite! Manage your lemonade business for big, sweet profits! Open lemonade stands in New York city! Build a colony on the Moon! Strike it rich with the money printing power of oil! Create the ultimate hunting, fishing, outdoor rec area! Bring in the money by building a tropical island resort. Build your own economic mecca through wise trading! Take care of animals in your vet clinic! Become a pirate, trader, politician, business owner and more! Build & run a maximum security prison! Keep society safe by smartly managing a modern prison! A true simulation classic that you can download and play for free! Buy and sell real estate to make a fortune! 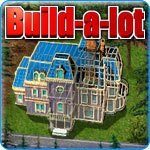 Enter the cutthroat real estate world to get rich! Run a chain of restaurants, even design the menu! Own and operate a traveling carnival! Build your own theme park and rollercoasters! Create rollercoasters, laser shows, water slides & more! Build the world's best water theme park! Build roads, railways, shipyards, airports, and more! Design and manage a cool skateboard park! Build and manage the best ski resort in the world! Build a top notch ski resort for skiers or boarders! How low will you stoop to to be the tabloid king? Create a virtual community in the palm of your hand! Buy and sell your way to riches! What are Business Simulation Games? Business simulation, or economic simulation, games offer the player the opportunity to manage a business and make decisions about how to grow the business. 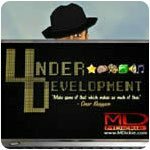 These games simulate likely outcomes and consequences of the decisions the player makes in various business environments. If the player makes appropriate decisions the player’s business will grow into a powerhouse or even a corporate empire. Many business schools use computer based business simulation games as innovative hands-on teaching tools. These games are used to expose business students to general management principles, finance theory, organizational behavior strategies and more. But you do not have to be a business student or even an adult to enjoy the creative challenges of business simulation games. Business simulation games go a long way back to a little game distributed with each 1970s-era Apple II personal computer called Lemonade Stand. Lemonade Stand was a simple program where you looked at a day’s weather forecast and decided how to price your lemonade, how many cups to make and how many signs to make. If you made good decisions, you made a few dollars of profit and were ready to make more the next day. In the 80’s Lemonade Stand was updated as Lemonade Tycoon, using the same premise but added exciting graphics and more detailed game play. Atari’s M.U.L.E. game was also a precursor of business simulation games. In M.U.L.E., multiple players worked to out-grow, out-mine, out-think and out-negotiate each other by mastering the art of business management strategies on the colony planet Irata (Atari spelled backwards). M.U.L.E. used simple supply and demand economics to drive the competitive element of the game. The Tycoon business simulation games are in abundance today. 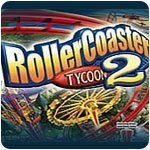 Roller Coaster Tycoon, for example, is a simulation of a theme park. 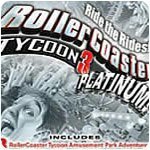 The game allows the player to design rides, buy food stands and attractions; set prices for admission, rides and food; in short build your dream theme park. This game is a great learning tool for children, helping them learn about setting prices, managing expenses, building a business and mastering the balance of supply and demand all in the context of building a theme park. The game allows the player to choose the right mix of thrill rides, and attractions, landscaping, gardens and footpaths to meet the needs of your park guests including designing your own custom roller coasters for maximum thrill and profit! The player has to use the theme park crew efficiently to clean up and keep the park beautiful for visitor satisfaction. Other exciting business simulation games you may want to explore include John Deere American Farmer, Fish Tycoon and Real Estate Empire. Each game employs elements of business and economics to challenge the player to make good choices to achieve an end goal whether it be running a profitable farm, buying cheap real estate and flipping it for a profit, or building a successful airport. Who might like these games? If you like the satisfaction of building something, making good economic decisions and watching with pride as you steer it through growth, balancing costs with the constraints of supply and demand, quality and advertising, then a business simulation game is for you. 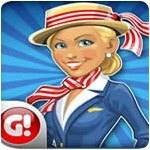 Whether it’s a theme park, a farm, an airport, or other venue, business simulation games are a challenging and fun way to train to make your million in the business world.